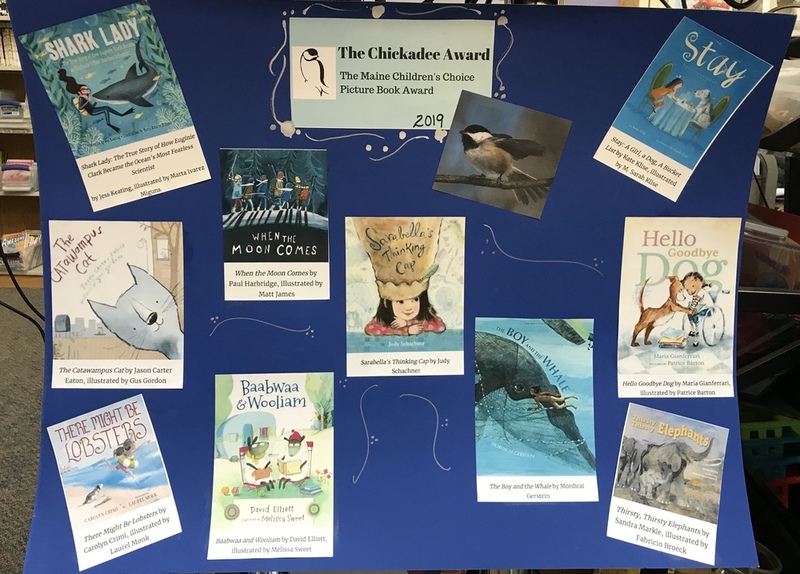 Students are already mid-way through this years Chickadee Award book nominees. Students will submit their vote for favorite book and the winner will be announced this spring. The annual Chickadee Award began back in 2005 and is named after Maine’s state bird. The goal of the award is for children to develop an appreciation of outstanding writing and illustration in current children’s picture books. This years choices have led library classes into fun discussions on topics such as therapy dogs, whale rescues, sharks, bucket lists and Lassie! Ask your student what book is their favorite so far and ask them to share the story with you.